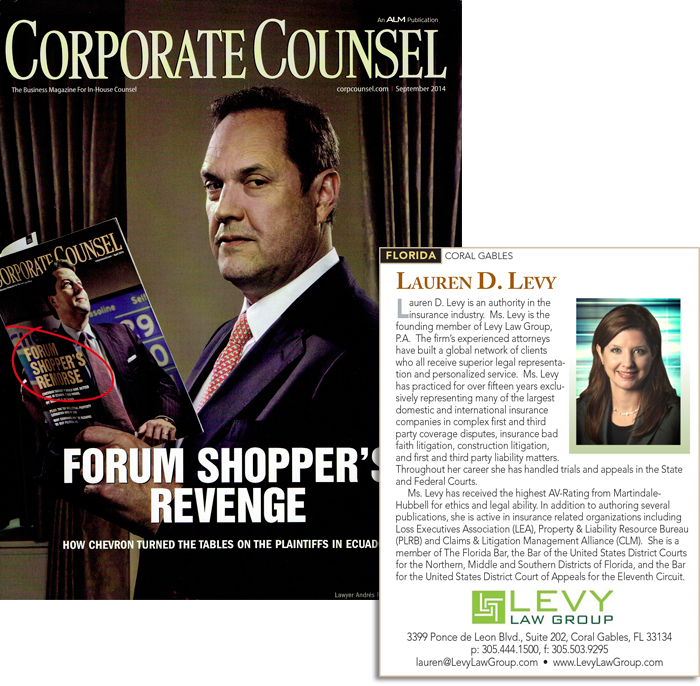 Levy Law is now member of The Claims & Litigation Management Alliance, the only national organization created to meet the needs of professionals in the claims and litigation management industries. 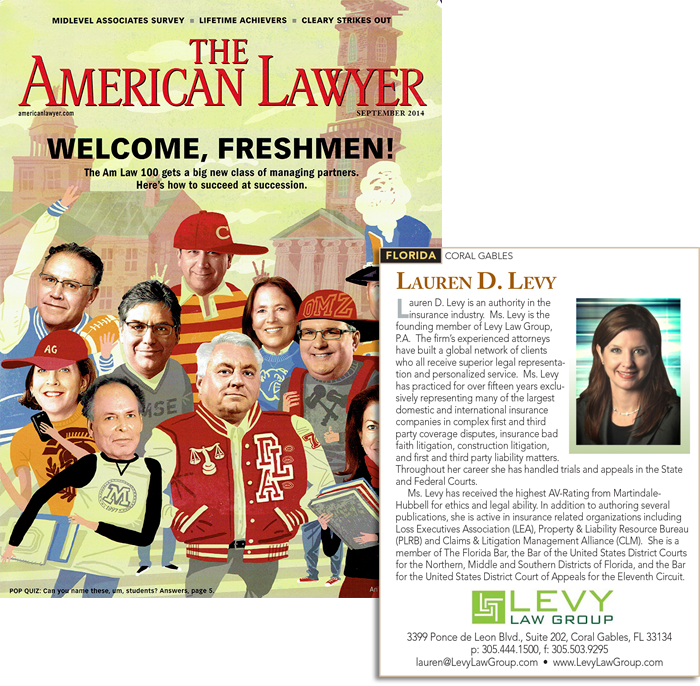 Lauren D. Levy received the Martindale-Hubbell Peer Review Rating of “Preeminent AV.” This rating is a significant accomplishment and testament of Ms. Levy’s professional excellence. 3399 Ponce de Leon Blvd.